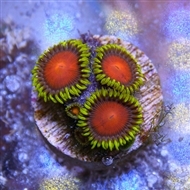 Zoanthus sp. 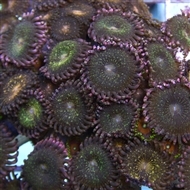 and Protopalythoa sp. 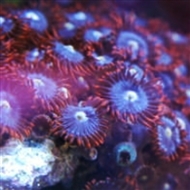 colonial coral polyps are also know as Button Polyps, Sea Mats, Zoanthids, and Palythoas. 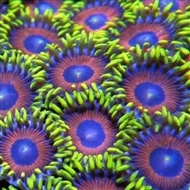 They can be found in red, pink, green, brown, blue, yellow, and every shade in between. 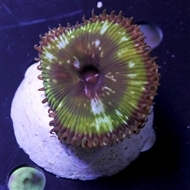 A new website, www.zoaid.com, has emerged as the difinitive site for Zoanthid identification. 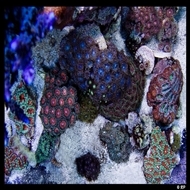 Barrier Reef uses the names provided by this site whenever possible. 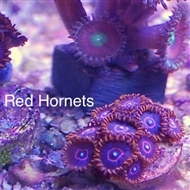 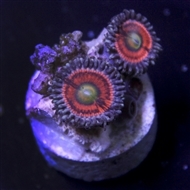 Zoas and Palys prefer medium to high light and medium current. 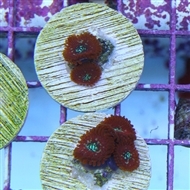 They should be given room to grow because they can deliver a potentially damaging sting to neighboring corals. 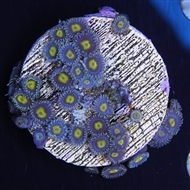 They will multiply by splitting at the base or mouth and benefit from feedings of zooplankton and brine or mysis shrimp. 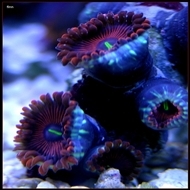 Finally, care should be taken when handling Zoanthus sp. 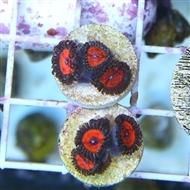 and Protopalythoa sp. 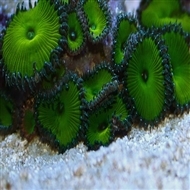 polyps. 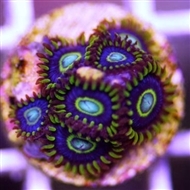 Wear gloves whenever possible and avoid ingestion or rubbing your eyes after handling them. 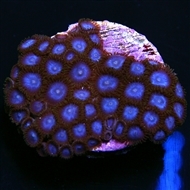 They can exude substances that may be toxic to humans and other animals.